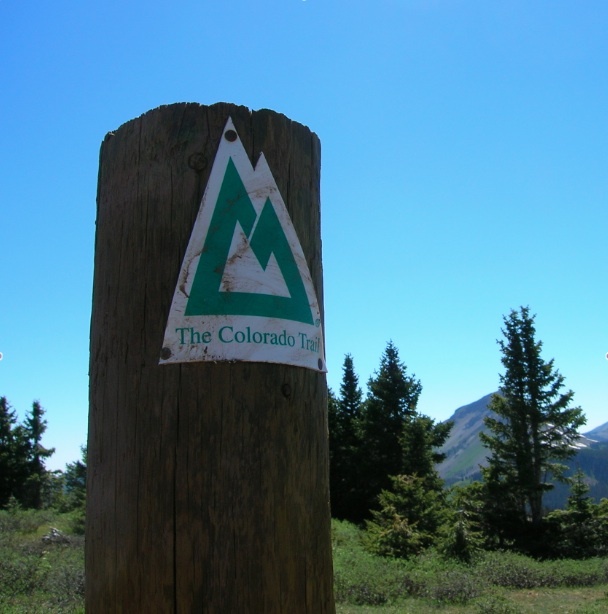 The Colorado Trail Classic is a point-to-point event in the COES. Bummer you can’t loop it out but the one-way route is just too classic to miss! No more than 73 people allowed for this event! 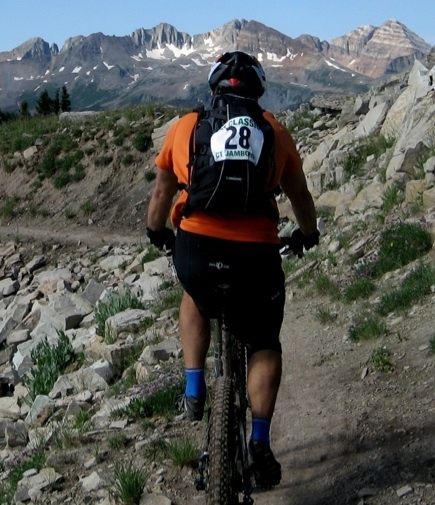 What: Singletrack, high elevation, backcountry self-supported endurance epic. 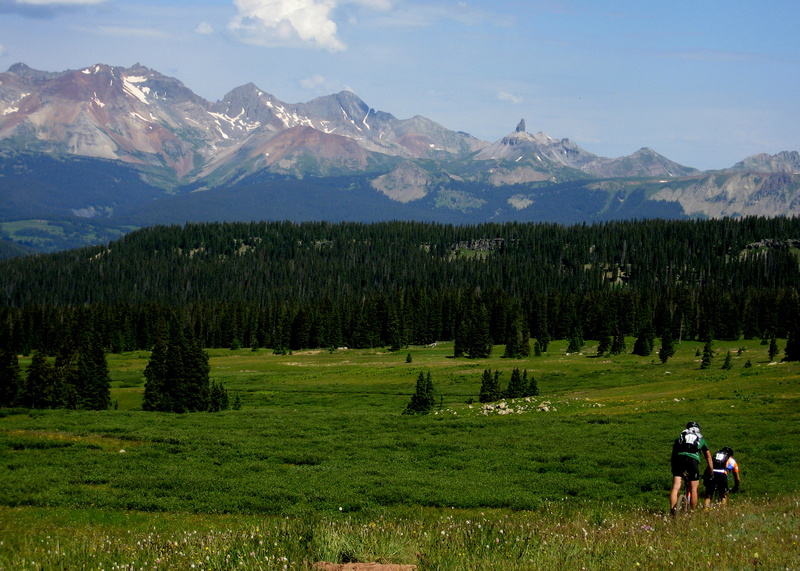 Where: Course follows a 75 mile stretch of the Colorado Trail, beginning on Molas Pass (10,860′) in the heart of the San Juan Mountains. The exact starting point for our epic day is the tippy-top of the pass, on the paved parking lot with bathrooms- located just to the east side of Hwy 550. Finish: Finish times should be recorded ( by you) at the western terminus of the CT, where it meets Junction Creek Road- all the way at the end, by the bathrooms and the first sign of pavement. Whenever you make it back to Durango go to Velorution Cycles (new location near the Horse Gulch) to sign out and then come for a beer at Carvers! Post-Ride Party: Carver Brewing, a dedicated supporter of the Colorado Trail will gladly donate a free beer to all finishers and is holding space for us on their patio. Carvers ROCKS! This 75-mile endurance mountain bike ride traverses across some of the finest alpine single track on the planet! 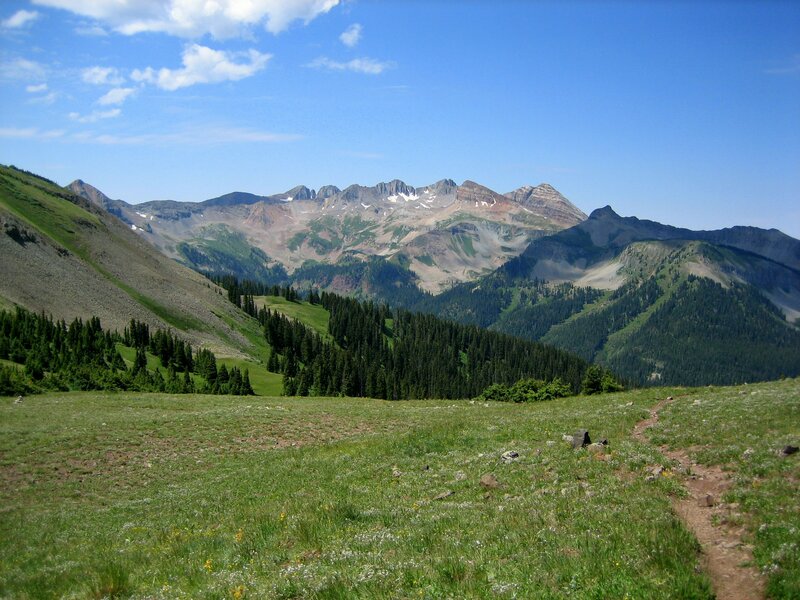 Beginning on Molas Pass (10,860′), in the heart of the San Juan Mountains, the course will take riders over four mountain passes (all near or above 12,500′) by following the Colorado Trail to its terminus at the Junction Creek trailhead, just five miles from Durango. See the elevation profile for more details, but the route stays at or well above 10,000′ until the final ripping descent into Durango. Total climbing vert is 10,000+’ and total descending vert is 14,000+’. 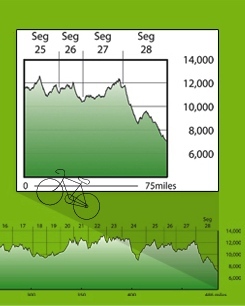 Due to the length, commitment and isolated nature of this ride, this event is purely designed as a self-supported MTB Ride. All riders are expected to have the knowledge and equipment to sustain themselves for the entire length of the trail. So, be prepared for the worst and having fun is mandatory! This solo, self-supported, endurance EPIC follows a simple code of ethics merely upheld by the honor system. Finish times are self-recorded and knowing the rules and following them are your responsibility. And, if you haven’t yet, please see- SWES and COES rules for more specifics. Ride begins at 6:00 AM sharp on the top of Molas Pass (paved parking lot just off and to the east of Hwy 550). 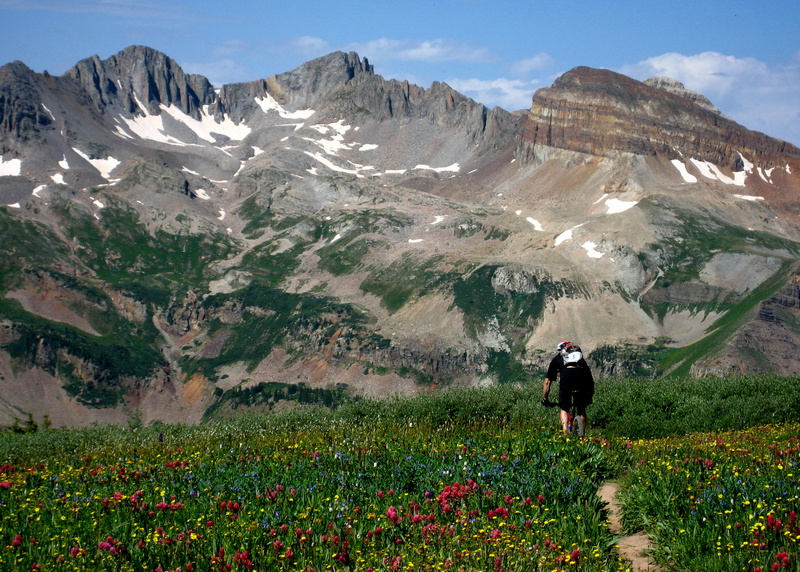 Molas Pass is located 40 miles north of Durango and camping is available near the top. Shuttles from Durango are not furnished by the event but could be pre-arranged with Hermosa Tours. Shuttles with Hermosa Tours must be prepaid 48hours in advance and refunds are only offered if the entire event cancels due to extreme weather. Or let’s coordinate on the CTC Forum to arrange carpools! Feed and water drop provided at halfway point- at Hotel Draw, some 36 miles into the course. This is a potluck style re-supply, so bring your likes and some for others to the start! No other aid stations permitted unless we plan to make them available for everyone. Check the CTC Forum for updates as the ride approaches..? Drafting is a non-issue on this 99% singletrack course. 😀 While riding with one another for moral support or just chit-chat is awesome, completion ultimately hinges on your ability to do it yourself! Finish at the western terminus of the CT, where it meets Junction Creek Road- all the way at the end, by the bathrooms and the first sign of any pavement. Alpine MTB and the Weather Factor 9er! As with all alpine endeavors, inclement weather can quickly become a factor. And let’s face it…it often completely shuts us down! August has the potential to be peak monsoon season in the San Juans, so plan your dress and rain gear accordingly. While we may find loads of sunshine and nothing but the head-high wildflowers in our way, be prepared and stay tuned as ride day approaches. If forecasters predict a 60+% chance of severe weather that weekend, then we will most likely call it off for both group safety concerns and an overall respect for the trail. Once a reliable pattern has emerged (and if it seems like an issue this year? ), then updates will be posted 3-5 days prior to the CTC Forum and CTC Registration pages. The CT Classic originated in 2008 as part of the Durango born CT Jamboree. 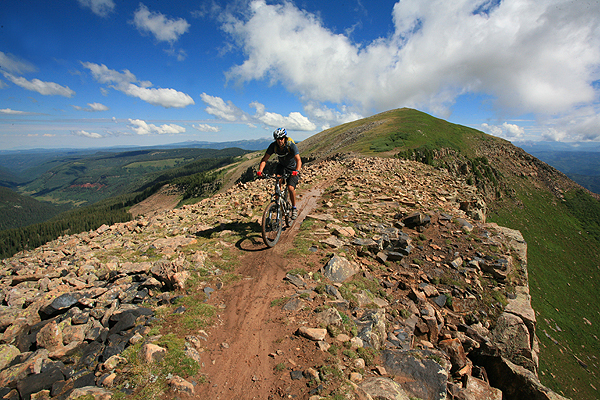 Held annually since 2005, the CTJ is a homegrown Colorado fund and awareness raising MTB event for Multiple Sclerosis. To date, the CTJ and CTC have raised over a quarter of a million dollars for the nearly 72,000 Colorado residents affected by MS. This chronic and disabling disease of the central nervous system largely impacts motor, sensory and optic nerves, producing a wide range of symptoms in those individuals it afflicts. Although MS was identified over two centuries ago, the benefits of today’s medicine and lifestyle choices have drastically improved the lives for those coping with this lifelong illness. Among these discoveries, embracing an active lifestyle has proven to have a positive outcome for sustaining nerve transmission and even improving an individual’s prognosis. Ride founder Ian Altman has lived with MS for over fifteen years and has learned how this strategy works for himself by continuing to turn up the volume in his nerve impulses through extreme exertion in the mountains. The CTJ and CTC were hence born from this awareness and all riders involved chose to embrace this proactive treatment approach and spread the WORD to others. Not to mention pushing their own physical thresholds- MS or not! Given that COES events require no entree fees, award no prizes and more importantly- do not operate under a USFS sanctioned permit, the CTC fundraising objectives are by all means off the table at this point. None the less, it is still encouraged that riders recognize the foundations this unique event and pay homage to those that rode before them. And if nothing else- find your own meaning and embrace our mantra of RIDING FOR CAUSE! I just posted our results from this year and please let me know if you see anything that is incorrect. Hi MBR, the rumors are correct and I chose plan our ride this year in August due mainly to an above average snow pack in the San Juans thus far. In addition, the course is usually allot faster by August, snow banks or not. So the date for 2016 is Saturday, August 6th. Its stated at the top of this main page, under the “When” heading. I might change the start time to 6:30am but at this point it’s 6am. Cheers and hope it fits for you! Ian, The ‘fit’ is going to be a couple weeks too late, but I understand your reasoning. For me, was hoping the CTC date would be early enough to do it as a social CTR training ride. However, unless I ride the CTR slower than my normally slow pace, will hopefully have ridden thru the week before. Hey MBR, I see this conflict with the CTR and was grappling with that big time. Mainly because I’m hoping to ride the CTR this year as well.. but think I could pull both off time wise.. but might be a bit too waisted. Don’t know yet, I might just do an ITT from Durango to Denver starting somewhere around 7/20..? All I know is if I do have enough recovery time after the CTR I think I’d set my best PR on the CTC. So who are you..have we ridden together before..? I’ve done the CTR in 2011,12 and 13. You can sign up whenever you want to on the “CTC registration page”. Just make sure to sign out if your plans change later this season. Getting stoked for the 2016 CTC in a week or so and starting to look for help with our feed at Hotel Draw. If any of you know of friends or family that might be able to help out please let me know. THANKS! I’d love to come up there and see the Indian Ridge/Highine to finish section in the daylight, after having just done that section in the dark finishing off the CTR 3 days ago, but don’t think I’ll be recovered enough. Too bad you guys didn’t schedule this 1-2 weeks before the CTR. Count me in , how’s the weather over there this week ? I’m on a single speed so would a 6 am start be a good idea regardless for me Ian ? Hey Mike, The timing for an average rider is typically about 13-14 hours. SSers do it in similar times, and even faster if they’re in shape or just fast. We have about 13 hours of daylight right now, so I’d say a 6 am start is good if you bring a light with you for the finish. Hey Ian, Is the CTC a go for this year (2018)? I see just 4 people are signed up and it’s only a week away. And all is quiet on the forum. What’s up? Hey Joe, Sorry for the late reply to this message, but YES, the CTC is on for this weekend. I’ve learned over the years to not count on riders committing till the last few days before the event…especially those from Durango. The forecast looks fairly promising for Saturday and the trail is sweet right now..so we are game on right now and planning for it! I’ll be posting a weather/event update on Thursday when this uncertain weather pattern becomes more solidified. Does anyone have a GPS file for the route? I tried using the links, but not sure what the login is? I see the chance of rain and thunderstorms is up to 50% now. Is the CTC still a go? I will bring a large and a medium. Thanks Adrian. As i passed through Durango at 9:30pm I saw that the Walmart was open, so stopped in and picked up a fairly decent Bell Helmet and a couple extra presta tubes. It all worked out. I told this to Ian, but just so future CTCers know, you can find the Track for the 2014 race (which matches our track) on Garmin Connect if simply go to the site, click on the “Training” tab on the left side, select “Courses” and then maneuver the map over to the Durango ara. The “CTC 2014 w/large group start” shows up and can be downloaded. This will save Ian the invitation issue and smooths out the downloading. Thanks, Eli for sharing this info with the group! And thanks for coming this year and sticking it out through the morning rains. I posted results yesterday and will also post a 2018 recap on here and our FB page just as soon as I get some photos from my buddy Kyle. 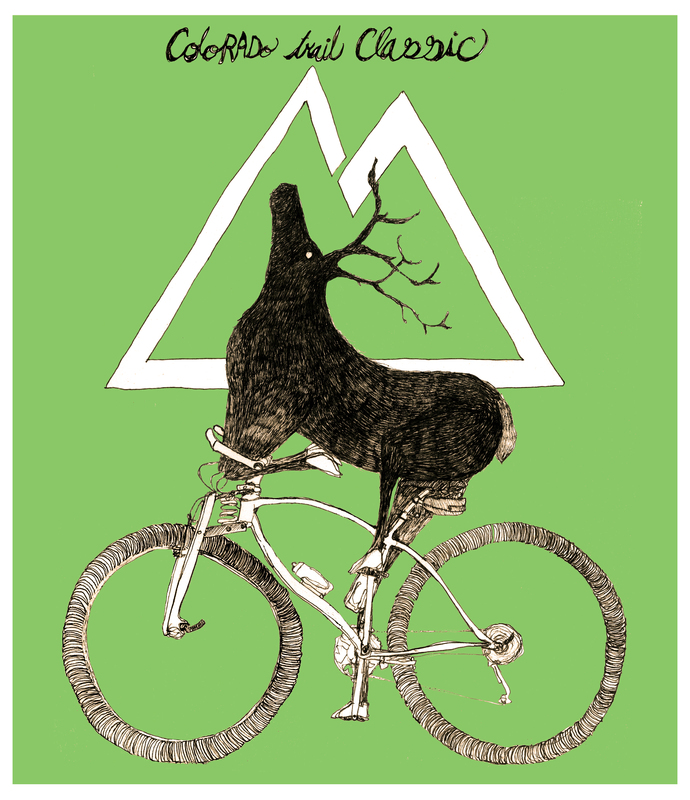 Have a great fall and get in touch if you come back to the San Juans to ride bikes. Iím impressed, I must say. Really rarely can i encounter a weblog thatís both educative and entertaining, and let me tell you, you could have hit the nail for the head. Your idea is outstanding; the problem is something that not enough persons are speaking intelligently about. I am very happy i stumbled across this during my seek out some thing with this.